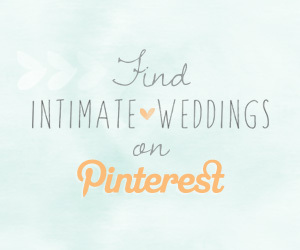 Choosing the perfect gift for the new Mr and Mrs (or Mr. and Mr./Mrs. and Mrs.) can be tough, but don’t stress; we’ve got you covered. 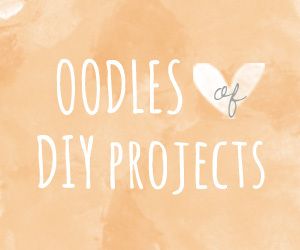 From budget-friendly to splurge-worthy, there’s no chance that any of these eight unique wedding gifts will be re-gifted. 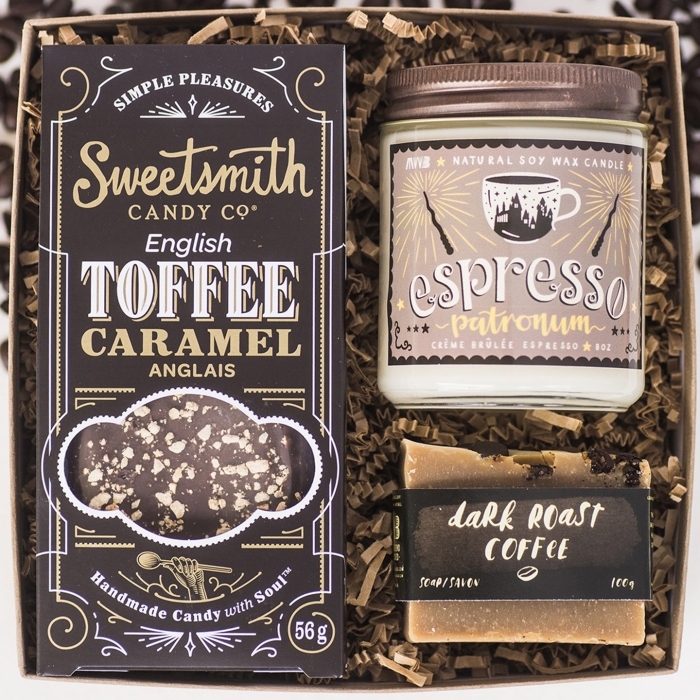 This “brewtiful” box from My Weekend is Booked is the ideal indulgence for the coffee connoisseurs, featuring a naturally scented Espresso Patronum soy coffee candle, a Sweetsmith toffee bar and a handmade coffee essential oil soap. You can never go wrong with a bottle of wine (or six), as a gift that is! 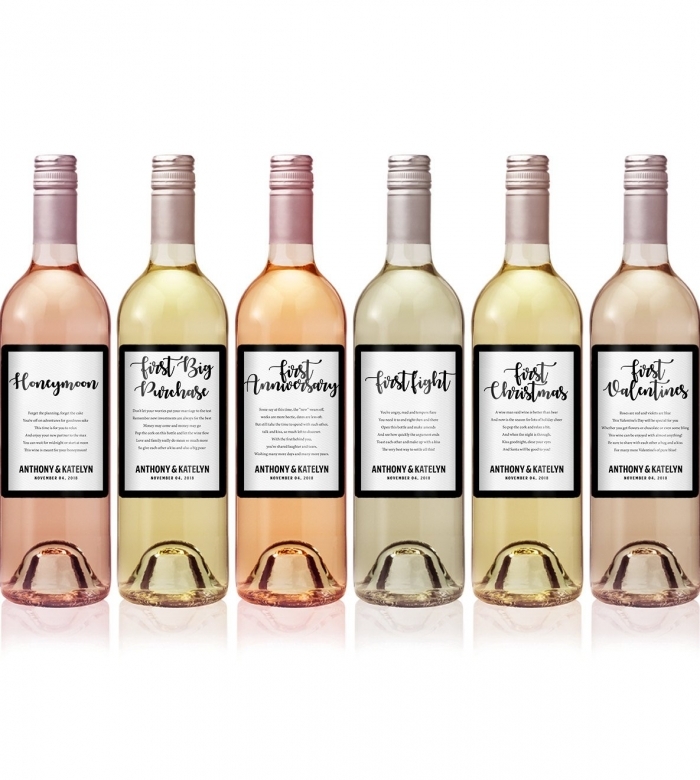 How cute are these custom wine labels from iCustomWine? 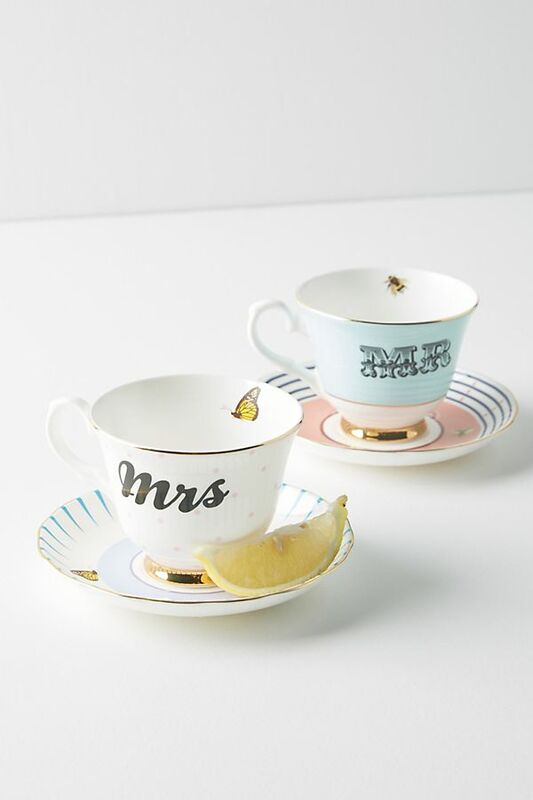 We’re swooning over this Yvonne Ellen Mr. and Mrs. teacup set from Anthropologie. 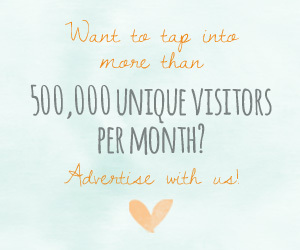 Looking for a seriously wow-worthy gift? 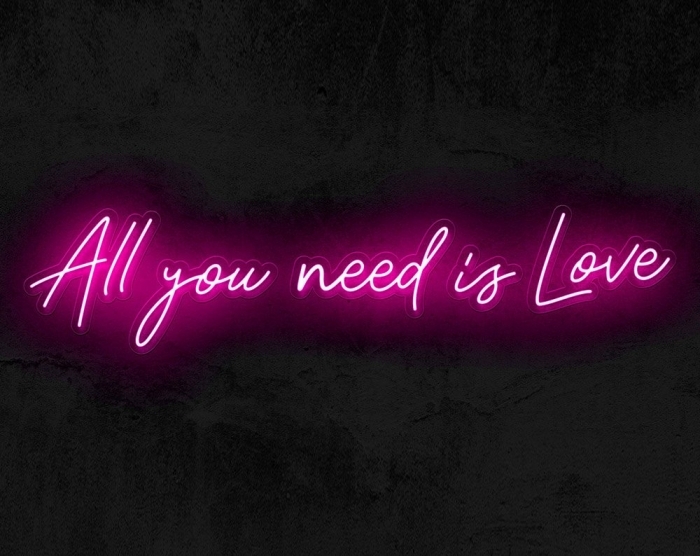 This neon sign from MKNEON will be an awesome addition to the couple’s home decor! 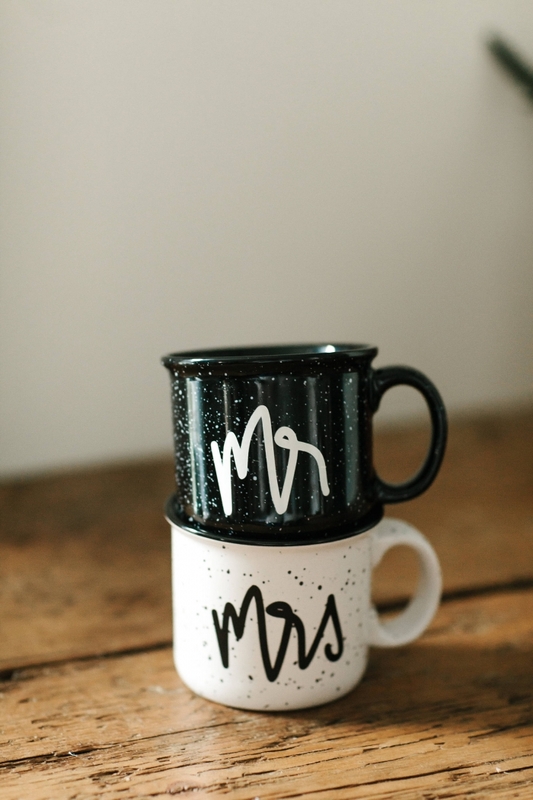 These Mr and Mrs campfire mugs from BeholdenPrints will be used every morning for years to come! 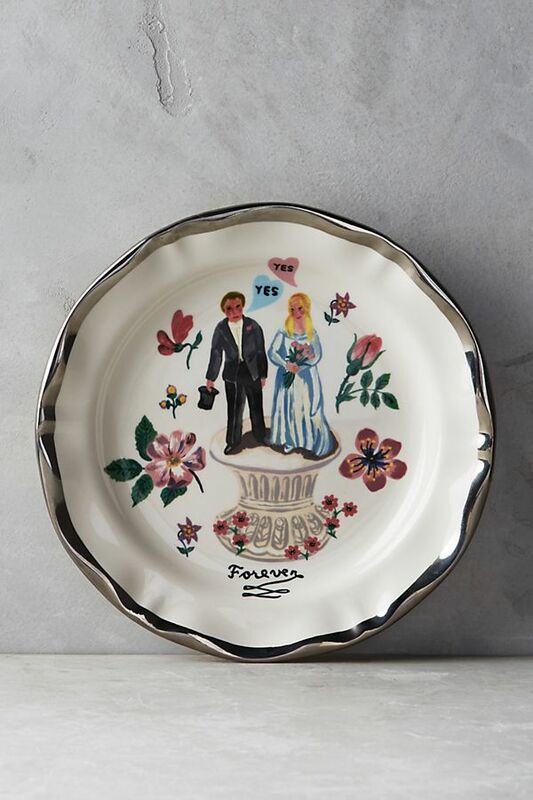 This special Nathalie Lete Francophile wedding plate from Anthropologie only looks uber expensive… It’s only $24! What does one get for the couple who has everything? 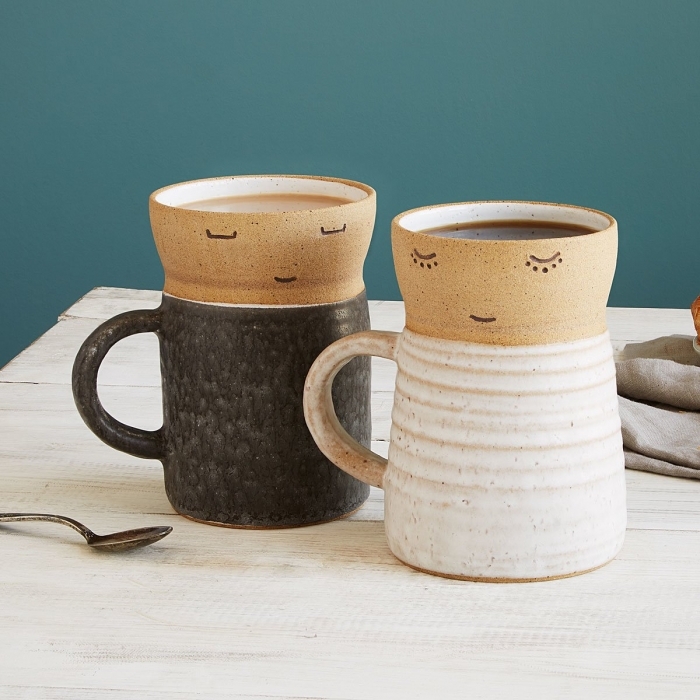 These bride and groom mugs from uncommongoods. Aren’t they adorable? 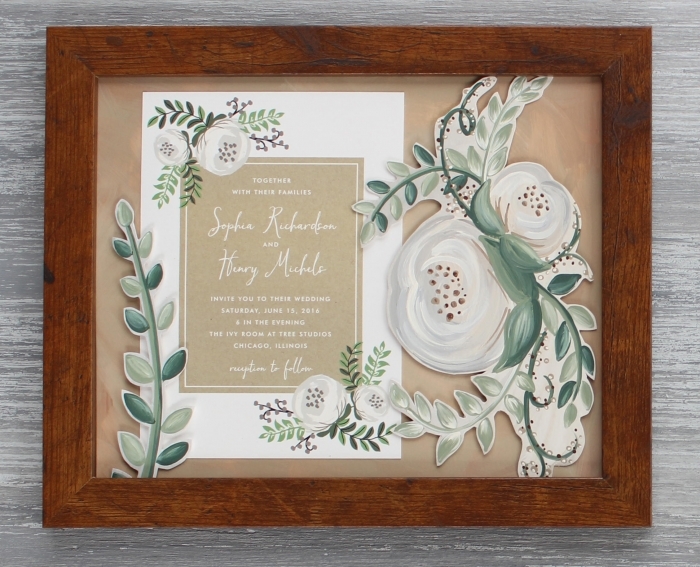 The couple will definitely be impressed by this custom framed wedding invitation painting from ShorelinePaintery.